Amelia B. in the Big D.: Pink Blush! 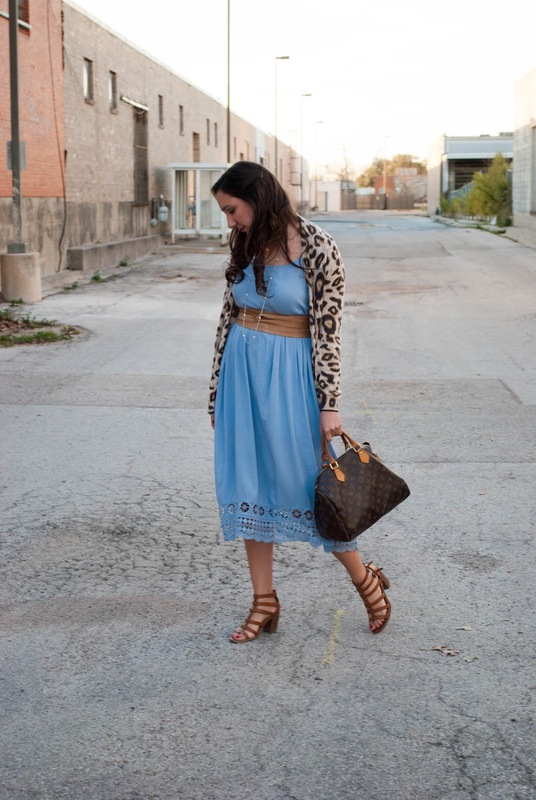 I am LOVING midi length dresses/skirts for spring, it seriously might be one of my favorite spring trends. 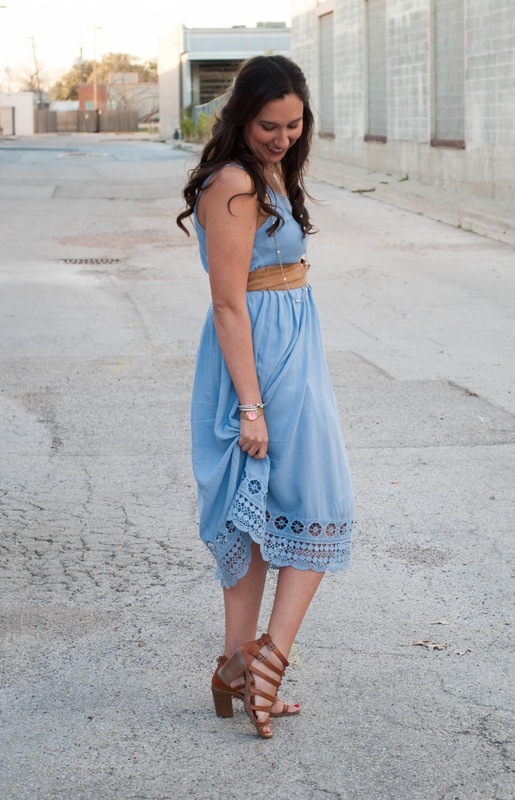 I was so excited to have found this beautiful number from Pink Blush! Have you ever heard of them? They are an online retailer for women that also has a maternity line Pink blush maternity! Hello mamma’s to be, can we say AMAZING cute and affordable maternity wear! They have so many fun and trendy pieces that won’t break the bank which to me is a big deal! While I was browsing their site I fell in love with all of their cute dresses, naturally, as a dress fanatic you know I cannot pass one up! 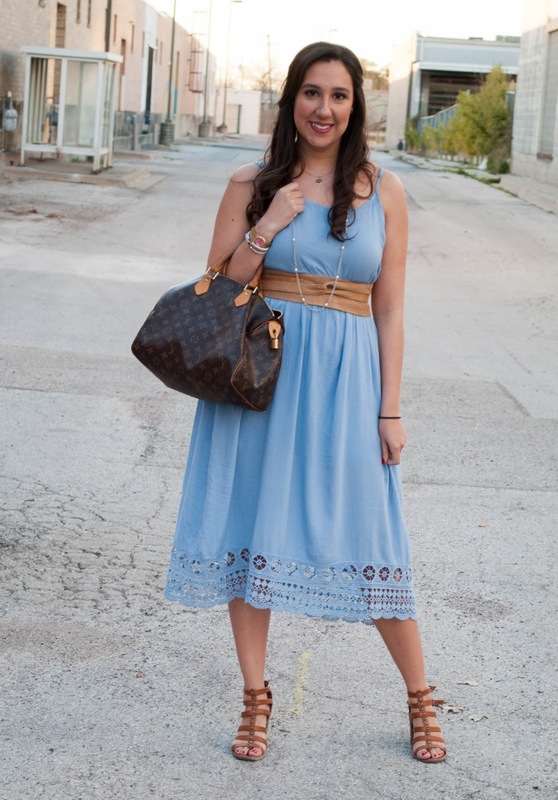 SO when they told me I could pick out something to showcase on my blog I had to pick this light blue number. Not only is it ADORABLE but it is also easy to wash which is super important to me these days. When I got the package I was extremely excited. The dress was amazing and everything that I expected. I was only a little surprised on the sizing. I think I could have easily gone with the small. Normally I am right on the cusp with a small or medium so I tend to order mediums, but thankfully the straps are adjustable so all worked out fine! I decided to dress this look up with a fun wrap belt so that you could still see my figure. 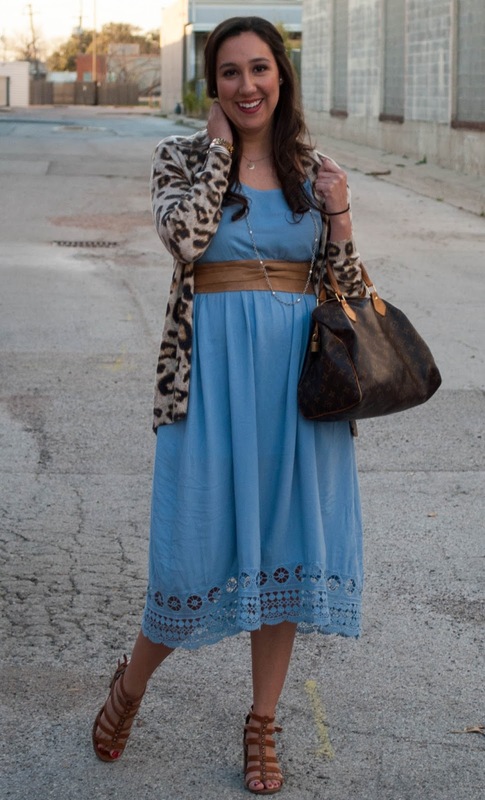 Added some strappy heels and a fun leopard cardi to tie it all together. I received a ton of compliments on it, and I think this little guy will be on repeat this summer. 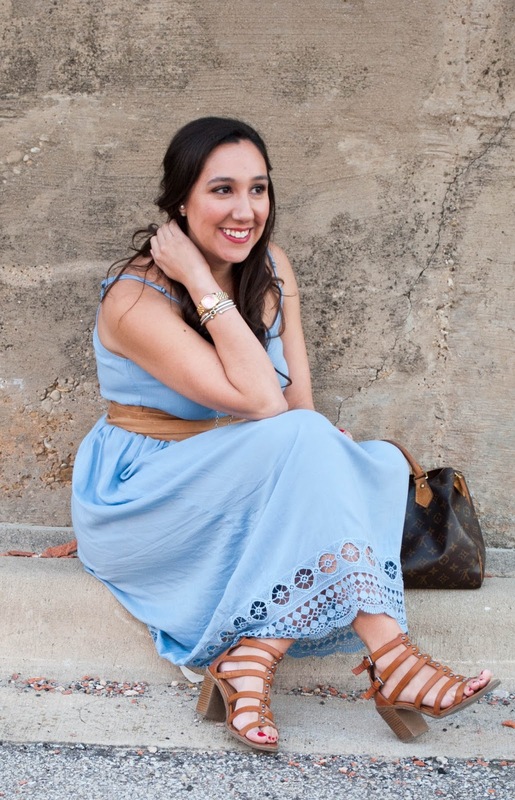 It is so light weight and airy, perfect for that Texas heat! This post contains items that were given to me complimentary to post and share my review. All thoughts and opinions are my own.